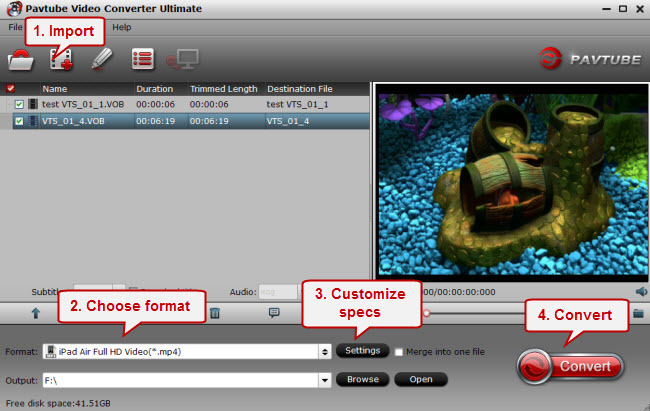 Note its Mac version is renamed as Pavtube iMedia Converter for Mac. 20% OFF for both versions for Thanks giving! 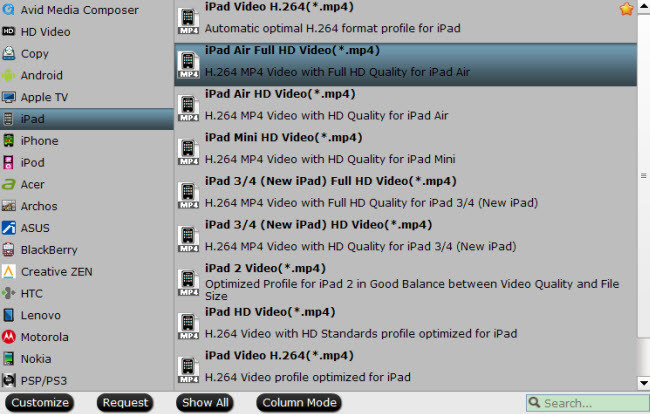 Click the drop-down list besides “Format”, you can see many presets for different formats, devices and editing programs. Download the enhanced profile patch (only available for Windows version; Mac users could download the latest version directly), you will find presets for iPad Air (HD and full HD, the later have better video quality and larger file size). Click “Settings” to adjust target video specs including size, frame rate, bitrate and other settings. And you can click the pencil-like icon on the top to enter video editing window, trim, crop, edit audio, add watermark and others. If your source DVD VOB file are interlaced (with many tiny waves in the picture), switch to “Effect” tab and try “Deinterlacing”, video would be smooth again. Click the big red “Convert” to star conversion. 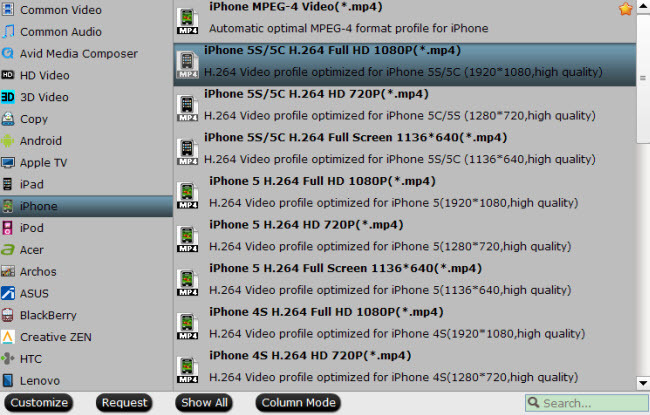 After it finished, hit “Open output folder” to quick locate converted videos. How to rip and copy Blu-ray movies to Google Nexus 5 on Windows 8.1 or Mavericks?